This spring, I headed to Nepal with a little bit of nervous anticipation. 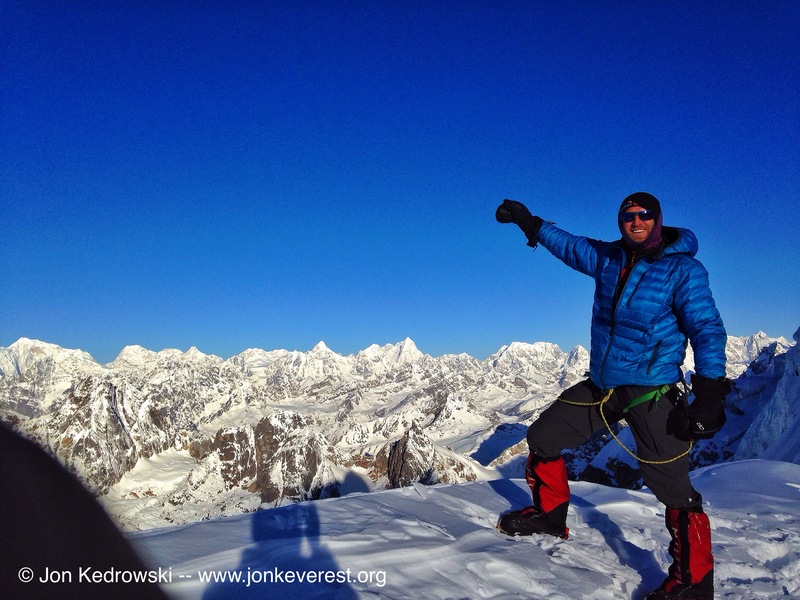 I felt like I was ready to tackle the peak of Lhotse 27,940’ (4th highest on Earth) which would place me on Mt. Everest again for the 2nd time in my career. A few weeks into April, en route to the Base Camp and start of our climb, I passed the Everest Memorials near Base Camp, where the respects are paid to the people that have lost their lives on Everest and Lhotse. That’s when the expedition went from just an incredible trek over two mountain passes to a full-on committed Himalayan expedition with real dangers. The choice I made to go to Everest Base Camp and climb again was truly a choice that made me. There was no turning back. If you are working on a personal goal, or a professional task, you have to commit yourself fully to the responsibility of sacrifice, and the possibility of failure. You have to be ready to also accept the fact that with failure could come a catastrophic outcome. You never want the worst to happen, but you should always be ready for it. During my pre-acclimatization climbs of two 18,000’ passes called Renjo La and Cho La, I had to stay on the top of my game all day long. I carried some of my favorite Honey Stinger products with me every step of the way. Not only was it great to have my favorite energy chews and gels (especially the Pomegranate Chews and Ginsting Gels) to push me over those passes and climb some high peaks, but I also found that having plenty of snacks and protein added to my diet in a 3rd world country went a long way. The Peanut-Butta Pro bar was my go-to Protein Bar. It tastes so good, like a Reese’s on Steroids! Delicious, nutritious and high octane to deal with the high altitude I did on the trip. I would always have a couple of Ginger Snap Waffles in my pocket as well anytime I was out on a peak or away from camp for extended periods. En route to the Base Camp to start climbing Everest, I also climbed Luboche East, a Peak over 6000m/20,000’. 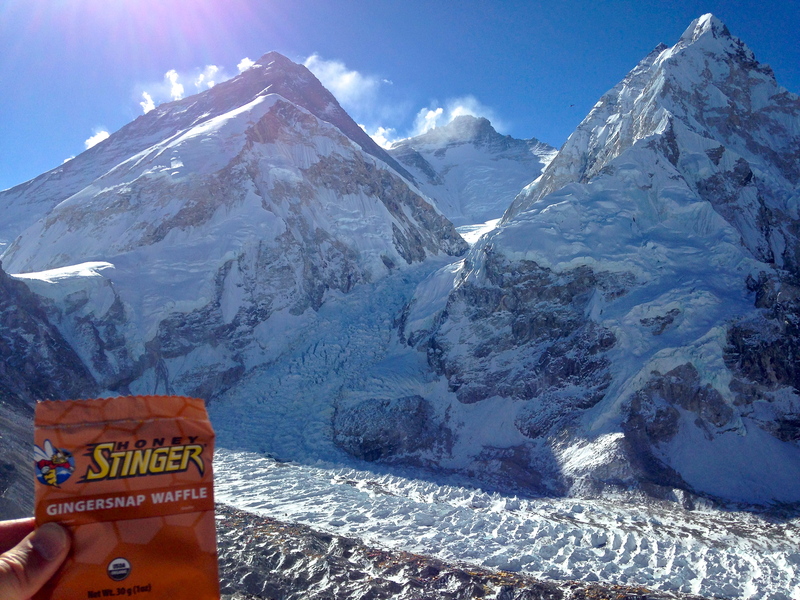 That day, I even remember enjoying my favorite Stingers on the Summit! 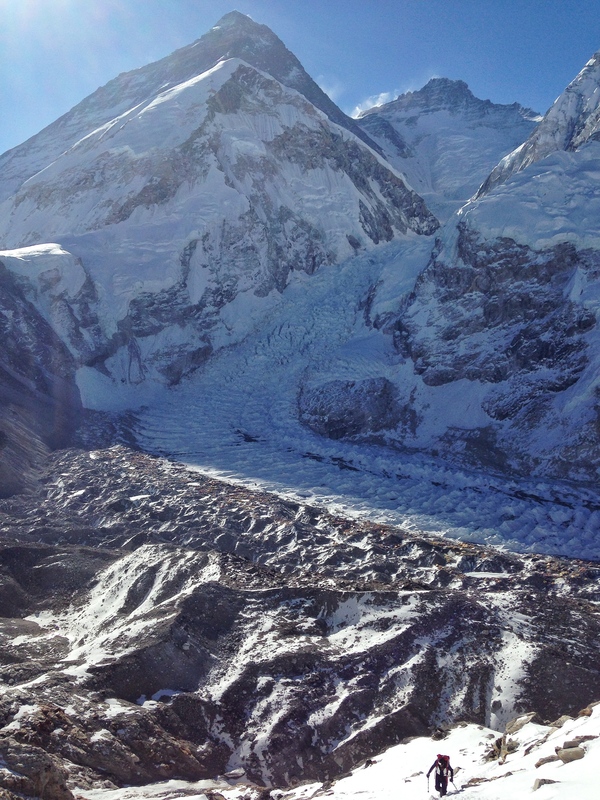 I just witnessed and experienced the deadliest day in the History of Mount Everest. The 7.8 Magnitude Earthquake struck around Noon on April 25th. The earthquake triggered a massive avalanche and the avalanche killed over 20 people. In my case, the choice I made to fully commit to my expedition may have put me in the line of fire. However, I was not only willing to accept the outcome of being there, but the decision made me be strong, resilient, and helpful to all of the people that weren’t so lucky that day. Climbers and mountaineers as a whole are a resilient bunch, and so I want to give credit to all the people who stepped up in Everest Base Camp. We helped each other, and the test of my character during that time is continuing to shape who I am overall. While many of the injured were being cared for, I stayed and collected scientific data about the earthquake. I was even fortunate to share all of the extra supplies and Honey Stinger products I had brought for my expedition with fellow climbers and local villagers in need as I trekked out of the region. Since returning to the states, I now give presentations about how we can help the people of Nepal. 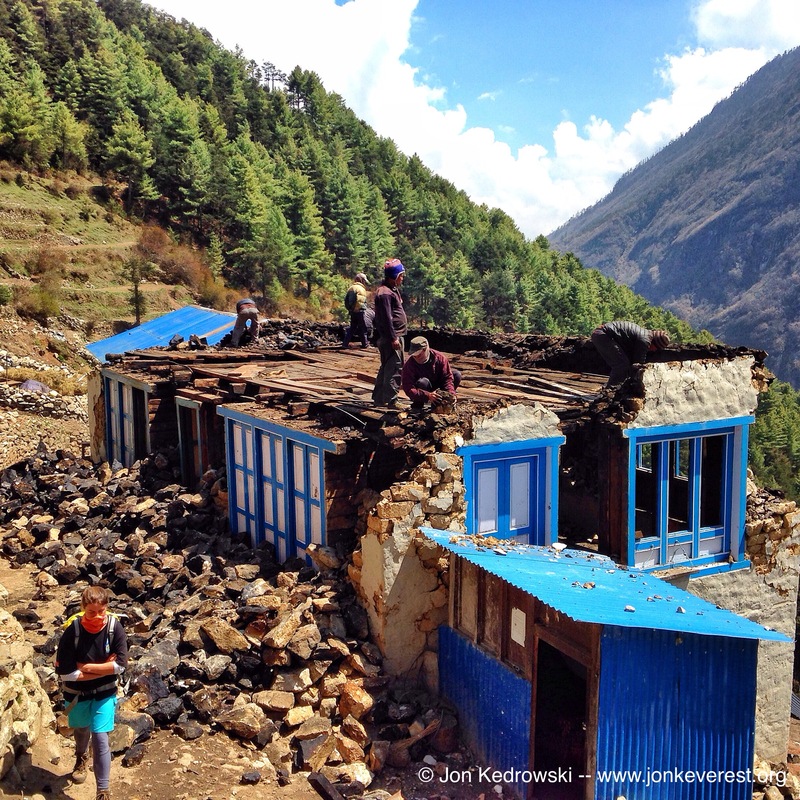 Next year, I will return to lead at least one service trekking trip to Everest Base Camp that will help the local people of Nepal to restore their homes in the aftermath of this huge disaster. Forge ahead with your choices and decisions wholeheartedly, and realize that through the good and the bad, good things will inevitably happen if you believe in them. Well, I made it through that experience safely and am optimistic that good things are going to happen for me, especially when I head out on my next expedition and with the help of my friends at Honey Stinger, anything is possible! All the Best- Dr. Jon Kedrowski, Vail, CO.